If you live in the Highland/Alpine area and are looking for a fresh, healthy, clean, kid-friendly, locally-owned restaurant then look no further than the Blue Lemon Bistro. It's the only restaurant in the area to meet all of those requirements, which is no small feat! 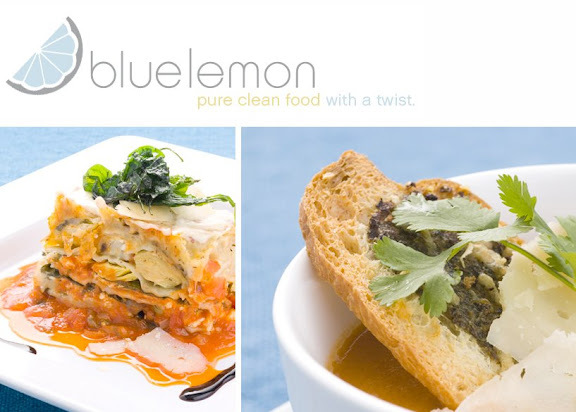 The night I ate at the Blue Lemon, I enjoyed Lychelle's Vegetable Lasagna, which was rich and delicious. Despite the lack of meat in this dish, it's incredibly filling. Sadly, I had little room left in my tummy for anything else :) My evening there also included good conversation with other local bloggers, the opportunity to meet some new people, and an impromptu tour of the restaurant kitchen. I had no idea a commercial kitchen could look so incredibly clean and tidy, all while staying busy busy. I was tres impressed. So the next time you want to gab with your BFF over a good meal, and have to bring the kids, stop by the Blue Lemon Bistro. You won't be able to resist your child's homemade macaroni & cheese kid's meal. Promise. You'll wish you were twelve again and able to order this cozy goodness for yourself! I love that mommies and kiddies can all eat well at the same table, in the same restaurant. Locals will also love their late hours...it's not always easy to find a restaurant in Utah County that stays open until 10 and 11 p.m.! I seriously live around the corner from this restraunt. I need to give it a try. thanks for the great review! Thanks for the review of this restaurant and letting me look around at your cute blog.